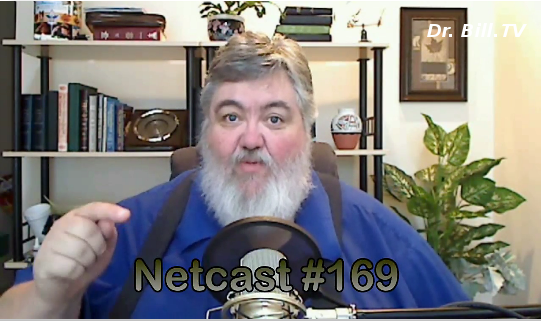 “The Mutant Mouse Edition” of Dr. Bill Netcast #170! Happy holidays from the Doctor! 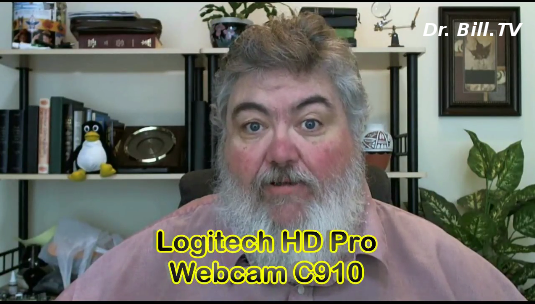 The Logitech Pro HD C910 webcam, mutant singing mice? 1000 cores in a CPU? Amazing times ahead! Have a great 2011! A 1,000 Core CPU is Possible! Wow! Now THAT would fly! As long as applications used the processors! “Chipmaker Intel has been investigating the issue of scaling the number of cores in chips through its Terascale Computing Research Program, which has so far yielded two experimental chips of 80 and 48 cores. In November, Intel engineer Timothy Mattson caused a stir at the Supercomputer 2010 Conference when he told the audience that one of the Terascale chips–the 48-core Single-chip Cloud Computer (SCC)–could theoretically scale to 1,000 cores. Okaaay! This is weird on so many levels! A scientist in Japan is has made a mouse that tweets like a bird. He says near the end of the article: “Uchimura dreams of further “evolution” of mice through genetic engineering. ‘I know it’s a long shot and people would say it’s ‘too absurd’… but I’m doing this with hopes of making a Mickey Mouse some day,’ he said.” Yeah. Just what we need, a genetically modified mouse that speaks like Mickey Mouse! Anybody else think this is just too weird!?!? “Japanese scientists said Tuesday they had produced a mouse that tweets like a bird in a genetically engineered “evolution” which they hope will shed light on the origins of human language. A team of researchers at the University of Osaka created the animal in their “Evolved Mouse Project,” in which they use genetically modified mice that are prone to miscopying DNA and thus to mutations. 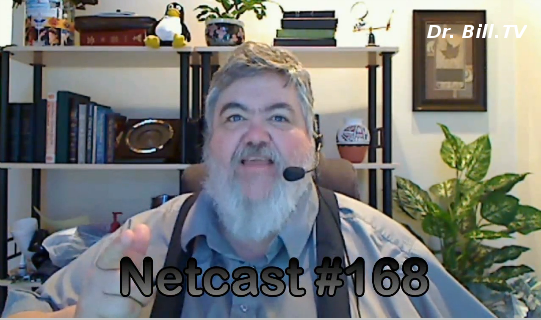 New setup for the Netcast! Marshall MXL 990 mic, Alesis MultiMix 6 USB Mixer, Merry Christmas! The Biggest Scientific Breakthrough of 2010: Teleportation! Quantum Ducks! GSotW: Smart Defrag! Love for Tux! Moving colored blocks! Tell your friends! Geek Software of the Week: Smart Defrag! Awesome! That is the word for this software! I like being able to “see” the defrag like back in the early days of Windows, and now, even with Windows 7, I can again! Not to mention enhanced optimization! “What’s the primary cause of slow/unstable PC performance? It’s disk fragmentation. 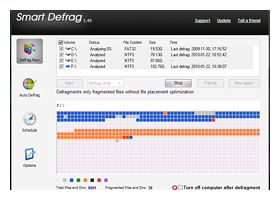 Smart Defrag helps defragment your hard drives more efficiently than any other product on the market –– free or not. This powerful, award-winning free defragmenter is 100% safe and clean with no adware, spyware, or viruses. area of the disk, enabling your computer to run at top speed with the most stability. its life. Smart Defrag has a “Safe Intelligence” technology that can assure the health of your disk by deciding When and How to execute defragmentation. What Was The Biggest Scientific Breakthrough of 2010? Teleportation! “Thanks to physics, and the truly bizarre quirks of quarks, those Star Trek style teleporters may be more than fiction. A strange discovery by quantum physicists at the University of California Santa Barbara means that an object you can see in front of you may exist simultaneously in a parallel universe — a multi-state condition that has scientists theorizing that teleportation or even time travel may be much more than just the plaything of science fiction writers. Until this year, all human-made objects have moved according to the laws of classical mechanics, the rules governing ordinary objects. Toss a ball in the air and it falls back to Earth. Drop a coin from your roof and it falls into your yard. But back in March, a group of researchers designed a gadget that moves in ways that can only be described by quantum mechanics — the set of rules that governs the behavior of tiny things like molecules, atoms, and subatomic particles. 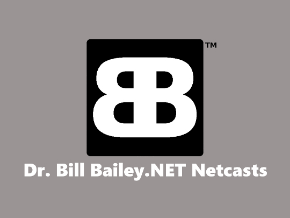 Dr. Bill’s Video Netcast is now on the Techpodcasts video feed! Roku info correction, segment on Google Chrome Extensions: ForecastFox, AdBlock, Screen Resize, Slick RSS. New Studio look, what will change next week? The ‘royal we?’ A segment on Thinstation LiveCD… re-purpose your old PCs! Geek Software of the Week: Tunnelier! 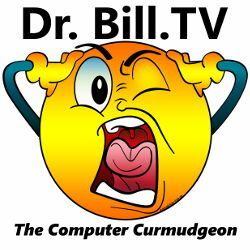 Dr. Bill’s 2011 predictions! 300,000 Androids activated per day! Activating 300,000 Android Phones Daily!!! Dewd! Android is taking over the world! “Android activations have now surpassed 300,000 per day which equals the number of activations for Symbian worldwide, according to data provided by Google. It also indicates that the now near-continuous stream of new Android phones is having a positive effect on sales overall. Back in October, Google CEO Eric Schmidt said the company was activating about 200,000 phones per day. The new number also comes from Google’s engineering chief Andy Rubin, who tweeted it on Wednesday night. It is not out of the question to think that Android may become the top platform in the world early next year. Such a milestone shouldn’t come as too much of a surprise: analysts have been expecting this to happen for quite awhile now. However, the speed at which it has happened — a fivefold increase in just the last year alone — likely gives its competitors some pause, if not cause for concern. Predictions for 2011, from the Doctor! Jeffrey Powers, from Geekazine, a fellow Techpodcasts.com netcaster, asked the TPN crew what we were predicting for next year in tech; here’s my predictions! I predict that streaming video, and Internet Protocol TV will continue to grow in audience. 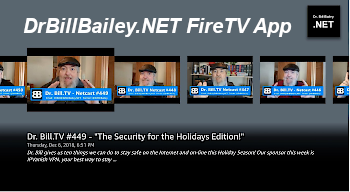 Set-top boxes like the Roku box, and the Boxee Box will become even more popular, and more and more people will begin to get their TV fix from the net! Google Chrome as an operating system will make decent strides this year, and there will be increasing interest in the Chrome based hardware that Google will introduce. Also, Android will gain even more market share from the iPhone! Net Neutrality will become a “cause celeb” and will become more prominent as folks begin to push harder for Internet freedoms, as well as personal freedoms! This will be compounded by the increase in personal expression, such as podcasts, video netcasts, and the like, in which individuals will become more important than corporations in producing news and entertainment programming! Geek Software of the Week: Tunnelier! This is a VERY cool SSH client, file transfer over SSH, and terminal session, all in one client! Awesome! It is my new, favorite VMware SSH tool. I used Veeam’s before this (which is still really good), but this one is better for me, as it allows me to do file transfer and terminal session with one login! No more puTTY and Veeam separately! “Free* SSH file transfer, terminal and tunneling!